13 Nov 2017 --- 2017 continues to witness a real explosion of artisanal alternatives as food and beverage manufacturers tap into trends like provenance, locally-sourced, handmade, authentically-made and so on. New product developments in the beverages, bakery, snacking and confectionery segments are using artisanal claims – but what does “artisan” on the label really mean? And why does it appeal to consumers? Artisan or artisanal, as a term used in the broader sense, somehow sets the product apart from the rest because it has been made with real, extraordinary expertise and flair. It conjures up images of something being homemade with high-quality ingredients in a non-merchandised and more thoughtful way – all factors that play right into what today’s ethically-minded and health-conscious consumers are looking for. Craft products play directly into artisan and premium, not least because the word ignites the same sort of connotations as artisan – a carefully and well-made product worthy of a premium price-tag. Large corporations adopted the “buy up successful startups” a while ago. Craft beer and coffee are two sectors where artisanal startups have become so popular that multinational leading players snap up the business through acquisitions. We’ve witnessed a series of these lately including Nestlé USA signaling its intention to diversify its coffee portfolio by buying Chameleon Cold-Brew, a leading provider of premium-crafted coffee sourced consciously and grown sustainably. Founded in 2010, Austin-based Chameleon has become the number one organic cold brew brand in the US and one of the top three refrigerated cold brew brands in the country. Similarly, numerous craft beer outfits are now owned by big beer producers scooping up the artisan breweries of high-end ales that continue to resonate with consumers, particularly millennials, from all over Europe and the US. Anheuser-Busch InBev’s partners with a plethora of craft beer companies and launched The High-End business unit a few years back to exclusively deal with premium craft acquisitions. UK coffee drinkers are also turning to artisanal options as demonstrated recently by flat sales growth results at Costa’s around Click to EnlargeBritain. Three years ago sales were increasing by 7 percent a year, but there was just a 0.1 percent sales jump in the three months to the end of August 2017 (1.1 percent increase the previous quarter). At the same time in Britain, as with many other countries, the high street is peppered with artisanal coffee shops. The large chains that once dominated towns and cities, now compete with independent coffee shops, selling other premium-priced food and beverage products, many of which with artisanal qualities. Artisan brands will continue to chip away at established rivals as consumer preferences shift. Innova Market Insights has just released its top trends for 2018 and ranked at number 5 is Beyond the Coffeehouse, which demonstrates how coffee (and tea) is gaining serious traction among different consumer demographics. How much of this has got to do with its artisanal-esque characteristics? While coffee is clearly trending among Millennial and Generation Z consumers, tea is also seeking to reinvent itself among the younger generations. 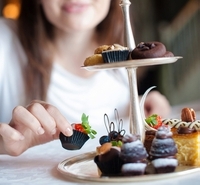 With the taste and experiential associations of coffee and the healthy image of tea, the industry is increasingly using coffee and tea as ingredients and flavors outside the hot drinks and iced tea and coffee sub-categories across a wide variety of products as varied as energy bars, yogurt and jam. “Everybody is doing specialty teas and coffee. 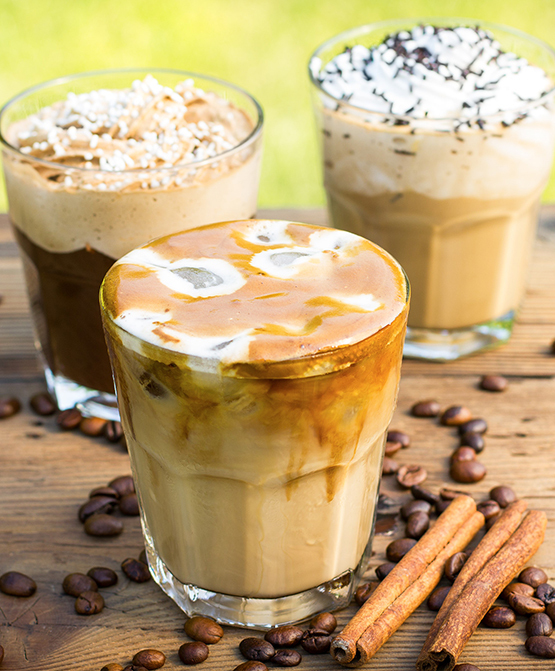 Competition is fierce but what you see now is coffee flavors everywhere, this has jumped out of the category,” says Director of Innovation at Innova Market Insights, Lu Ann Williams told FoodIngredientsFirst. Read more about Innova Market Insights 2018 trends here. Slow food – food that is produced or prepared in accordance with local culinary traditions, typically using high-quality locally-sourced ingredients – also plays into the artisanal category as the concepts have much in common. FoodIngredientsFirst spoke with Paola Nano from Slow Food, a non-profit organization that promotes local food and traditional cooking, about what is driving the latest artisanal and premium industry trends. Nano says that the growing push towards industrialization and globalization of the world’s agriculture and food supply puts the future of the natural world at risk – very real concerns for many global consumers and an influencing factor which impacts what food and beverages they buy. People are more aware of their foods’ footprint and origin as well as their own personalized nutrition. Because community-based agriculture is rapidly being replaced by corporate-controlled, technology-based monocultural, export-orientated systems, says Nano, as a backlash or contrast to this, thousands of new and alternative initiatives are flowering around the world which promote ecological agriculture, defense of the livelihoods of smallholder farmers and the production of safe, culturally diverse food as well as a focus on localization of distribution, trade and marketing. The artisan food sector in Northern Ireland (InvestNI) has been given £88,000 (US$115,300) to increase the commercial viability of the best regional products and to help achieve special EU trademarks and quality labels. While there is potential for many other regional artisan specialties, the current favorites include traditionally-made yogurts, wild-caught fish, specialty bakery products like soda and potato bread. A company like Pepsi has been around for a very long time and may not be thought of as “craft” anymore, but the relatively new product Pepsi 1893 reminds consumers that the company was indeed one of the originals. Artisan Craft Handmade Coffee Beer High-End Cold-Brew Innova Market Insights Slow Food. The Innova Database is the product of choice for the whole product development team. See what food manufacturers are doing around the world in a way you never thought possible. Track trends, competitors, ingredients and flavors. It contains excellent product pictures, search possibilities and analysis. Get the world of new products on your desk, set e-alerts, examine category activity, find new ideas, be inspired. In today's fast moving environment this is a resource you cannot afford to be without.